Yesterday was baptism day at all of our Cross Point campuses. I have been in full-time ministry for 20 years, and I am still amazed at the power of seeing someone take their first public step of faith through the simple act of baptism. I felt tears come to my eyes every time that person would emerge from the water with a look of excitement about things being made new and beautiful. I watched as people would spontaneously run from their seats during worship, just to be included in baptism. 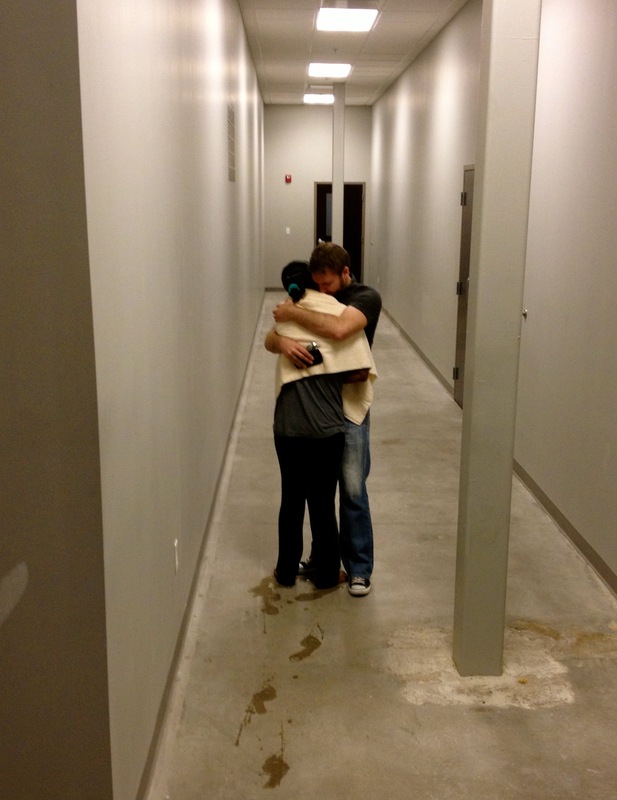 I snapped this picture backstage as this couple held each other and cried for at least 5 minutes following her baptism. Baptism reminds me that God is still in the life-change business. I pray that I never take moments like this for granted.